On March 11,2010, in Baku a memorandum of cooperation between the National Center of Oncology of the Ministry of Health of Azerbaijan Republic and non-profit public organization CAI Onlus (Cancer Aid International) was signed. The memorandum was signed by academician J.A.Aliyev the General Director of the Azerbaijan National Center of Oncology on the behalf of the Azerbaijan National Center of Oncology of the Ministry of Health of the Azerbaijan Republic and by Dr. M.Castodi on the behalf of the non-profit social organization CAI Onlus (Cancer Aid International). 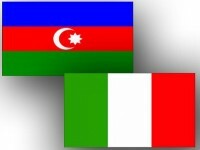 From the point of view of the importance of joint cooperation, parties will build strong and efficient cooperation for to achieve common purposes and improve the efficiency fulfillment of obligatory in the field of solving issues involving bilateral interests, to invite Italian experts to Azerbaijan for conducting special surgical operations, consultation and training.